The 12th Annual Academic Signing Day for El Dorado Promise recipients at El Dorado High School will take place on Wednesday, April 12th at 1:30 p.m. at Wildcat Arena. 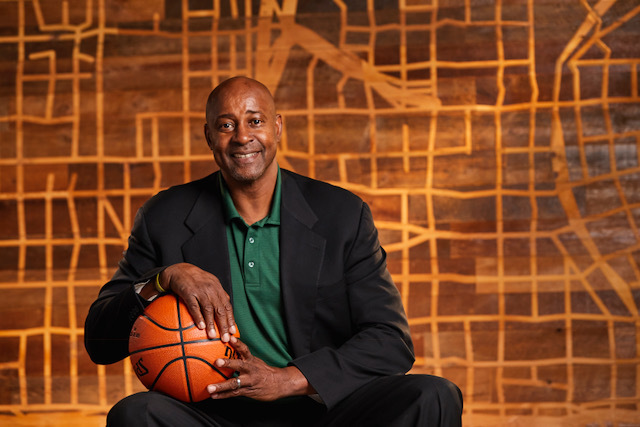 Sidney Moncrief, former Arkansas Razorback All-American, five-time NBA All Star and two-time NBA Defensive Player of the Year , will be the keynote speaker. Moncrief was a vital part of the Southwest-Conference-winning Razorbacks men’s basketball team in 1977, who also earned a Final Four appearance in 1978. He held the all-time leading scoring record with the University of Arkansas for years. As fifth-overall NBA draft pick, Moncrief joined the Milwaukee Bucks in 1979, retiring his jersey in 1990. Moncrief is a five-time member of the NBA All-Defensive team, and an NBA All-Pro. He is a former NCAA Division I head coach (UALR) and NBA assistant coach (Dallas Mavericks, Golden State Warriors, Milwaukee Bucks). Moncrief also led an international team as head consultant in Beijing, China. He has served on the board of directors for a Fortune 500 company and as president of various retail auto dealerships. He is the author of six books. One of pro basketball’s hardest-working and best-liked players, the state newspaper called him “the most beloved athlete in the history of Arkansas”. Moncrief was born to a single mother to a family of seven, in a housing project in Little Rock. His mother was a cleaning woman who made sure he completed chores and held membership in a Boy Scout troop. “I had to do things right. As tired as she was, she always took time for discipline,” he told Sports Illustrated. While a senior at Hall High School, he earned a 3.8 GPA to qualify for a scholarship, and earned a Bachelor’s degree at the University of Arkansas. Early in his profession, he was told of a degenerative knee problem which a doctor said would limit his basketball career to two years. He played eleven years. This year marks the 11th anniversary of the El Dorado Promise, a $50 million scholarship program funded entirely by Murphy Oil Corporation for EHS graduates. Since it began, the Promise has provided funding to more than 2,200 EHS graduates, attending 138 colleges and universities in 31 different states. Promise Scholars have completed studies from most Arkansas public and private universities, as well as 39 out-of-state institutions. Currently, they are attending 73 different colleges. Over 85% of EHS graduates go on to attend college and 75% of those return to college after their freshmen year, far above state and national college-going and retention rates. Academic Signing Day’s title sponsor is First Financial Bank with other sponsorships provided by the El Dorado News Times and Kim Smith Photography. The event is a partnership of the El Dorado Education Foundation, El Dorado School District, Murphy Oil Corporation, and the El Dorado Promise.